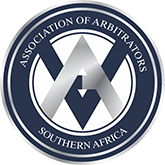 Tania Glavas is a registered arbitrator with the Association of Arbitrators, South Africa. Following the completion of the Arbitrators course she studied further to acquire the Fellow Arbitrators Certificate in 2011 – F Arb. Arbitration is an alternative form of dispute resolution, to litigation. Parties entering into a dispute may either choose to go to arbitration or may be governed by an pre-existing agreement to resolve disputes by arbitration. Such a dispute resolution may contain an elected arbitrator or require that a governing body like the Arbitrators Association appoint a suitable one. With 20 years’ experience in the Construction Industry, Tania specialises in Building Arbitration. Argument at hearings on behalf of party. If you need any assistance with your contractual dispute please email Tania Glavas on tania@tglavas.co.za.